Crash: A Susi Air plane of the type that crashed in Kalimantan. A South African pilot and his Australian passenger were killed when their Susi Air plane crashed in central Indonesia, officials said on Thursday, in the airline’s third fatal accident in a year. They were the only people on board the Pilatus PC-6 aircraft, which was carrying the Australian photographer on a chartered flight, the airline’s operations director Christian Strombeck said. “The pilot was South African and the photographer was Australian. Both were killed,” he said. “The plane crashed Wednesday at around 5:30 pm local time, and the bodies were found at around 1:30 am Thursday,” he said. Another official had initially said the plane crashed at 1:30 am. “The Pilatus PC-6 aircraft was flying in East Kalimantan to do some aerial photography when it crashed,” Strombeck added. The airline said the pilot was 28 years old, and the Australian government said the passenger was 57. “We can confirm a 57-year-old Australian man has died in a plane crash in Indonesia,” said a spokesperson from Australia’s Department of Foreign Affairs and Trade. “His family in Indonesia are receiving consular assistance. “We are seeking to make contact with his family in Australia,” the spokesperson said. The airline said it was investigating the crash and grounding its six remaining single-engine Pilatus aircraft until further notice. The plane went down near a village in the Kutai Kartanegara district, Sutopo Purwo Nugroho, spokesman for the National Disaster Mitigation Agency, said. “The aircraft crashed at the edge of a ravine,” he said. 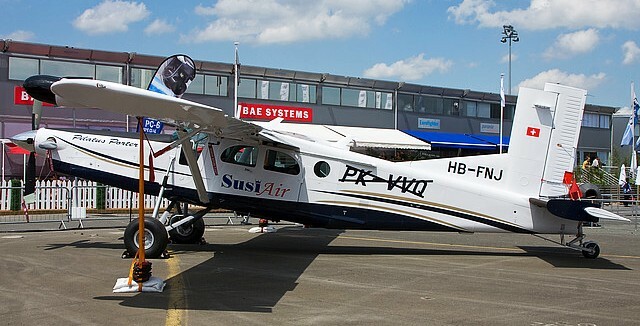 Susi Air is a small domestic airline that operates mostly Cessna Grand Caravan planes usually configured to carry 12 passengers and two pilots. It also operates a few smaller Pilatus planes and other aircraft. In November, one of the company’s Cessna aircraft crashed while trying to land in Indonesia’s remote Papua region, killing a Spanish pilot. Another of its aircraft crashed in September in Papua province, killing an Australian and Slovakian pilot. The Indonesian archipelago of more than 17,000 islands relies on air transport to reach remote areas and has a poor aviation safety record. the embarrassing incident. repeatedly occurred ==> poor aviation safety record.